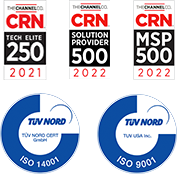 Zones holds Corporate Plus® Certification by the National Minority Supplier Development Council in recognition of our outstanding commitment to excellence combined with our national-level fulfillment and service capabilities. This commendation honors exceptional minority-business enterprises that have the proven capacity to handle contracts for major corporations. The program is designed to bring these companies to the attention of all National Corporate Members and to expand their participation in the NMSDC Network. National Corporate Plus Members provide additional opportunities to other MBEs through continued development of their own internal minority-business development programs. 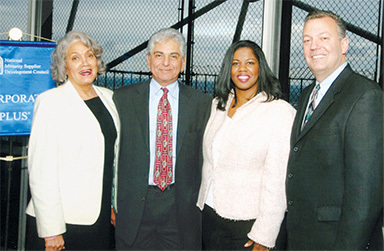 Pictured in the photo above from left to right: Harriet R. Michel, President of the NMSDC; Firoz Lalji, Chairman, President and CEO of Zones, LLC; Christina Young, Supplier Diversity Program Manager for Nordstrom; Proctor & Gamble's Richard A. Hughes, Chairman of the NMSDC Corporate Plus Management Committee. 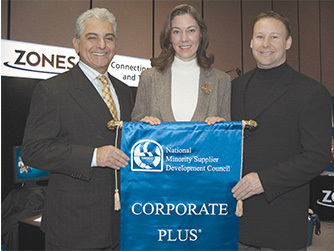 Pictured in the photo above, from left to right: Firoz Lalji, Rita Gebinini, and Sean Hobday of Zones, LLC.